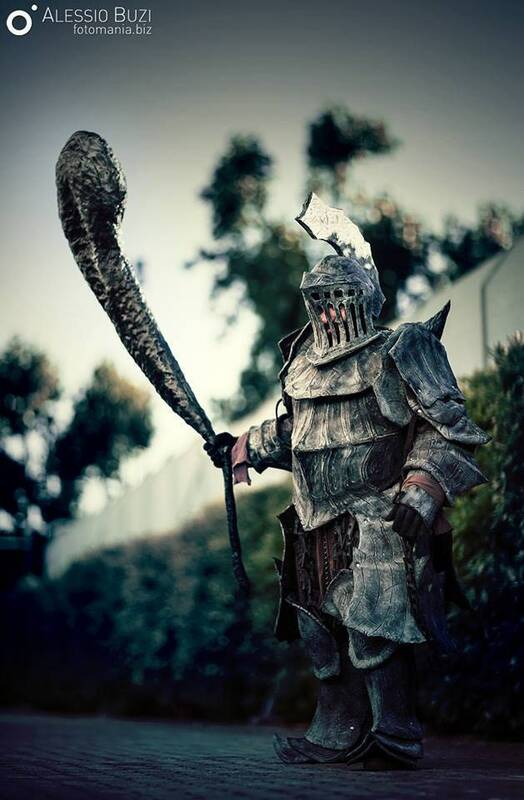 Inspired by Havel The Rock Armor set from DS, built with thick EVA foam and painted with Flexi-Paint a highly durable and flexible paint for rubber-like materials. 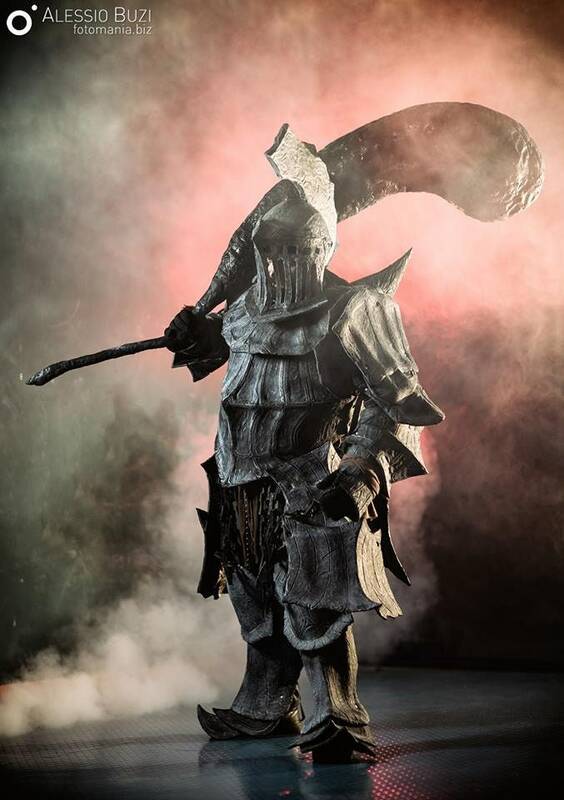 Despite the size the costume is very light and easy to move in, very durable and can flex and bend without causing any damage to the finish. 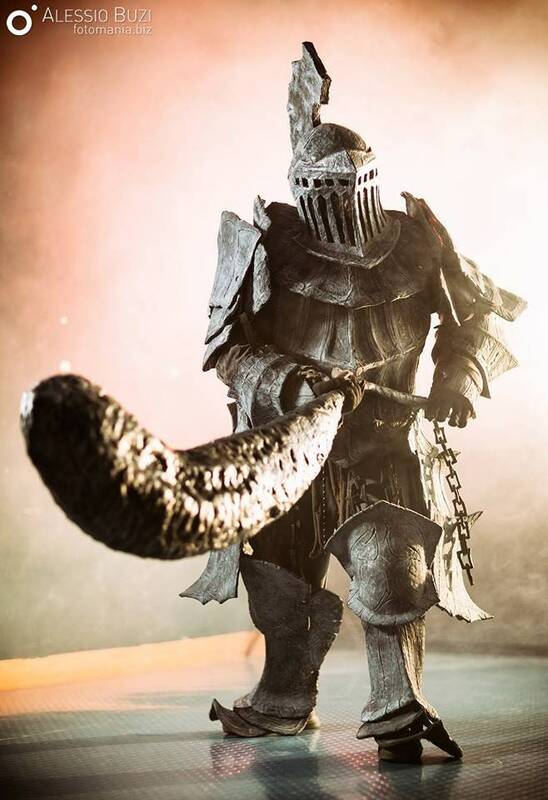 The Dragon's Tooth ( mace) is a totally con safe build made with foam with a pvc core, it's able to be used for staged combat without hurting anyone and causing any damage to the weapon it self. For more informations you can check these videos of the costume and weapon in action!